Built into the lens barrel are two switches, one zoom lock that can hold the lens at any focal length and a manual focus override for when more precise control is required. It also has a minimum focus distance of 102.4" and a rotatable tripod collar. 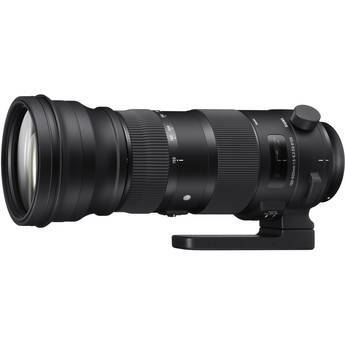 It is compatible with the Sigma USB Dock for focus microadjustment and firmware updates and comes with a lens hood.